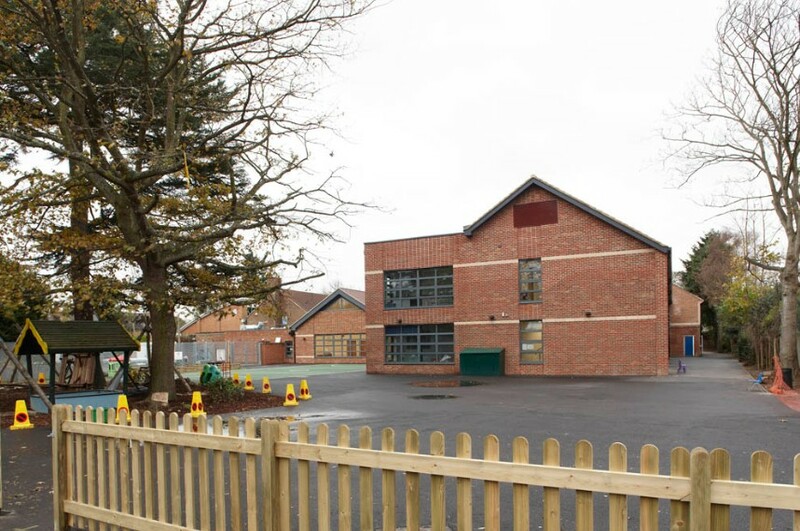 Sheen Mount Primary School took possession of their wonderful new 3 Phase extension, on 01st February 2016. 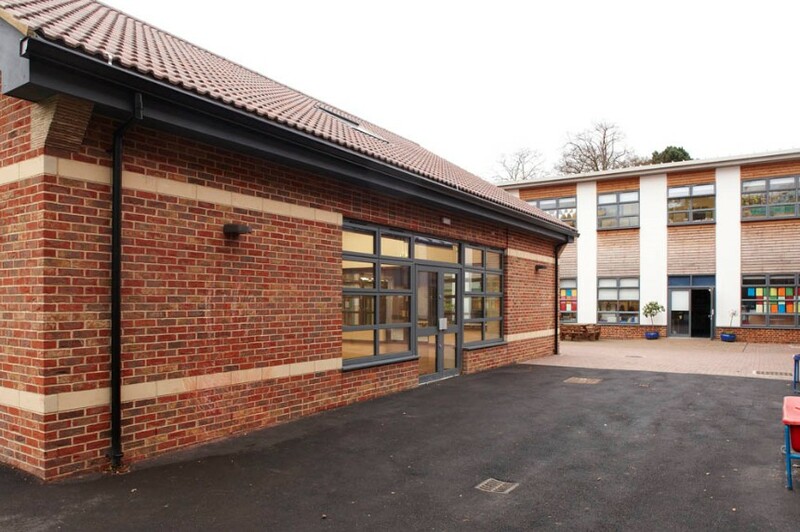 Phase 1 involved the design of a new two storey extension building, which is bright and airy, with purpose built classrooms, group rooms for individual learning and tuition, a new food tech room, platform lift and sanitary facilities. The Office Staff can now work remotely from the general office and there is a fully appointed new staff room and a satellite plant room was designed to subsidise the existing school plant room. Heating and hot water is provided by economical gas fired boilers and a new calorifier. The building is also served by underfloor heating, that is partially controlled by a new BMS and room thermostats. Extract ventilation is included, also linked to the BMS, with override controls in each classroom, in order to automatically provide necessary ventilation to automated windows and roof, to enable individual user comfort control. Photovoltaic panels have been installed discretely on the flat roof and supplement the electricity usage of the new building. A large canopy has been provided externally, to give a covered play area and congregation point for parents. The hard landscaping has been laid; brick paving and tarmac, offering level access to all external doors and improved drainage. Phase 2 of the works primarily entailed the demolition of the existing kitchen, rebuild of a new larger kitchen, with flat roof and new H&V roof mounted system including a full fit-out. 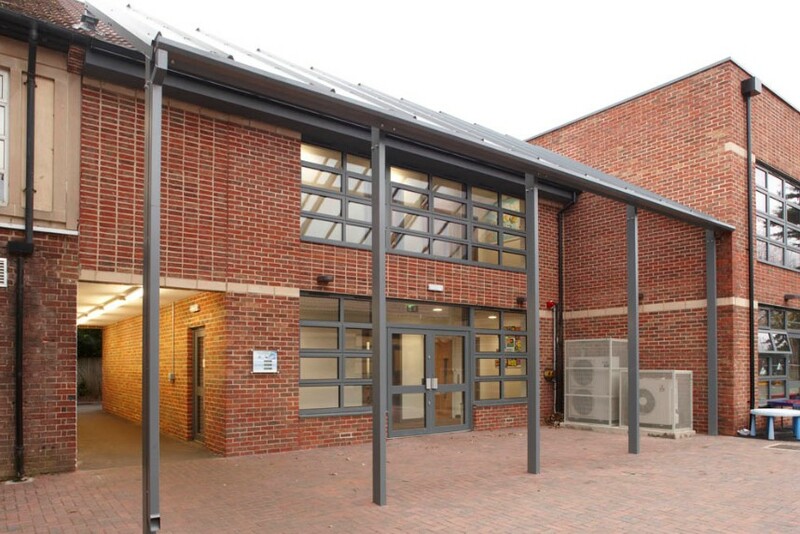 Construction of a new Studio Hall with access from the existing main school hall and an extensive element of internal refurbishment works including newly formed external door and corridor, were all part of this clever design. The remodeled school reception area, new door entry system, new fire alarm panel, new MI Room, new Server Room, new link corridor to the new two storey teaching block and a new fully appointed ICT Suite, all add to the splendor of the building. Phase 3 consisted of the construction of a new reception class building, following the demolition of two tired demountable buildings. New foundations, drainage, ducts and services were provided. The single storey chalet style building complemented the other new buildings, with a hand made stock brick external finish, with Bathstone stringer course as a feature. The accommodation comprises of 3 new classrooms, sanitary facilities and a fully appointed staff kitchen. The building has a BMS system that controls the heat and ventilation, full IT set-up and new alarm systems. The external facade of the building boasts a new full length canopy, offering additional all weather external play space and parent congregation area.